Motor vehicle accident fatalities soared 27 percent higher last year in Oregon. It marks the largest percentage increase of any state in the country, according to a recent nationwide study which revealed that fatalities nationwide caused by car accidents rose by the largest percentage in 50 years in 2015. These alarming statistics were released by the National Safety Council (NSC), a non-profit organization that has been analyzing accident data each year since 1921. As attorneys who see the devastating impact of car accidents, we view this report as a call to action for all drivers to stay focused behind the wheel. Avoid distractions. Remain sober. Too much is at stake to take unnecessary risks. If you or a loved one is injured, contact us immediately to know your rights. According to the organization’s latest study, motor vehicle fatalities increased by 8 percent nationwide in 2015 based on preliminary accident statistics. Overall, there were 38,300 fatalities and 4.4 million injuries in 2015 due to motor vehicle accidents. Such fatalities include people killed in accidents involving cars, trucks, motorcycles, pedestrians and cyclists. As for Oregon, the NSC simply noted on its website that traffic fatalities increased by 27 percent in 2015. No specific numbers were provided for the total number of deaths. But based on statistics for 2014 compiled by the National Highway Traffic Safety Administration (NHTSA), when 357 people died in motor vehicle accidents, a 27 percent increase would represent 96 additional deaths or 453 deaths total in Oregon in 2015. Why did auto accident fatalities go up so much in Oregon? 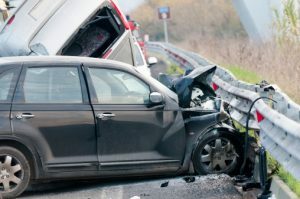 The NSC cited several reasons for the increase nationwide last year in the number of motor vehicle accidents – a stronger economy, lower gas prices and an increase in the average number of miles driven by most drivers last year. In Oregon, officials believe the increase in the number of fatal motor vehicle accidents in 2015 can be attributed to speeding, distracted driving, drunk driving and not wearing seatbelts. Oregon transportation officials discussed traffic fatalities for 2015 on Sept. 30 last year, when statistics were released for the 12-month period ending Sept. 23, 2015. During that 12-month period, the number of people killed in motor vehicle accidents in Oregon increased by 31 percent overall. Pedestrian fatalities rose especially sharply, increasing by 64 percent during the same 12-month period, according to an article about the report published by The Oregonian newspaper. Amy Joyce, the legislative liaison for the Oregon Department of Transportation, called such statistics “pretty sobering,” according to The Oregonian. Oregon officials added that drivers should also not drive over the speed limit, especially on rural roads, according to The Oregonian article. Even so, accidents can happen, no matter how safe or responsible drivers are in Oregon. If you or a loved one has been involved in an accident due to someone else’s negligent or reckless behavior, we can help. Our attorneys at Zbinden & Curtis have decades of experience working with accident victims in Portland and throughout Oregon. Call (503) 287-5000 and schedule a free case evaluation today.